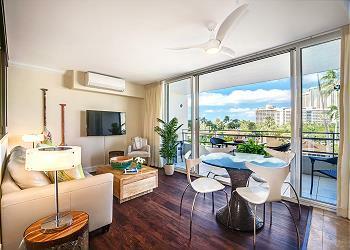 Whether you’re a solo traveler or part of a small group, you want to stay in a place that’s peaceful when you need it to be, vibrant when you want it to be, and offers great value for money. 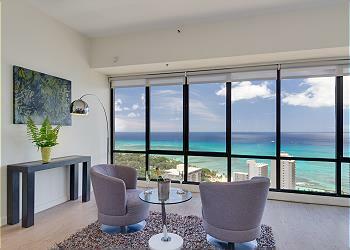 If you’re looking for the best 1-bedroom condos for rent in Waikiki, check out these 12 offered by Captain Cook Resorts! 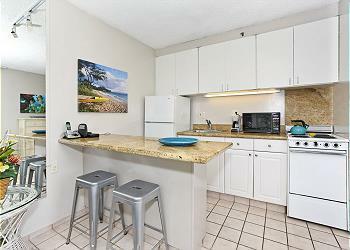 With its fully equipped kitchen, AC, washer/dryer, parking, and Wi-Fi, Canal House feels like a home away from home. 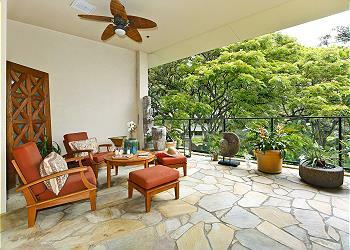 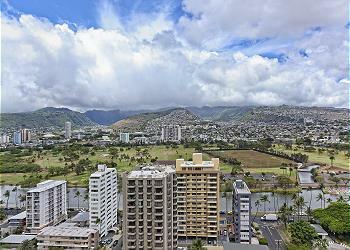 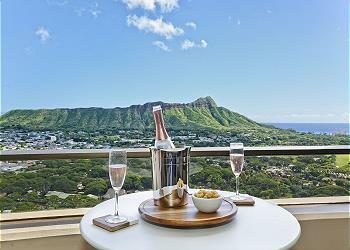 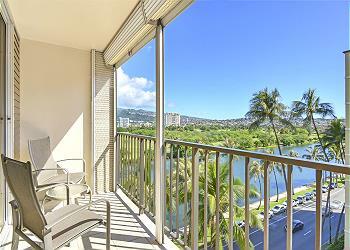 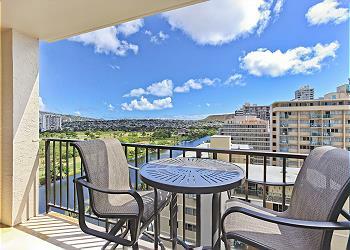 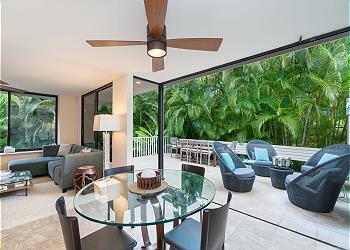 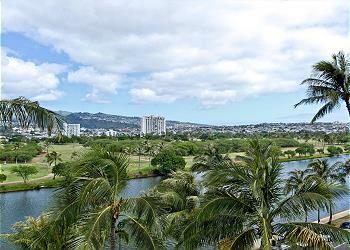 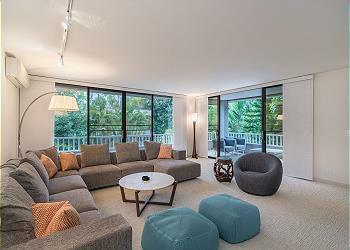 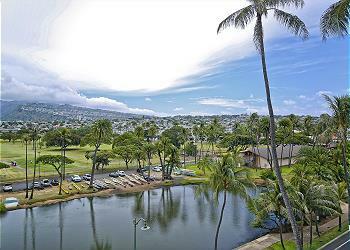 Through the balcony, you can view the Ala Wai Canal, Ko’olau Mountains, and the Ala Wai municipal golf course. 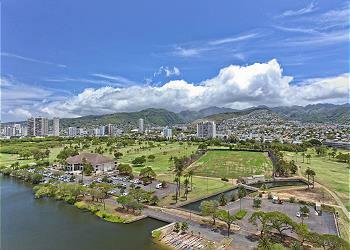 Invite your friends for a jog at Kapiolani Park or hit the books at the Waikiki Library just across the street. 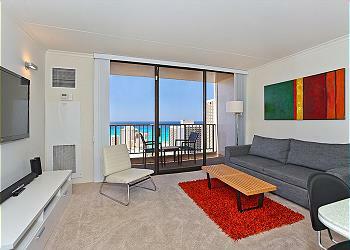 The Colony Surf is located along Honolulu’s Gold Coast, which you can easily access via two bus routes. 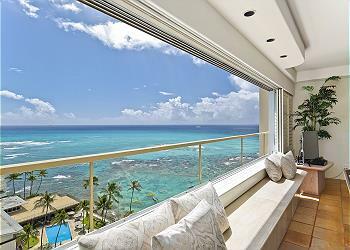 It houses the world-famous Michel’s Restaurant, where you can eat and drink to your heart’s content while watching the sun slowly disappear into the horizon. 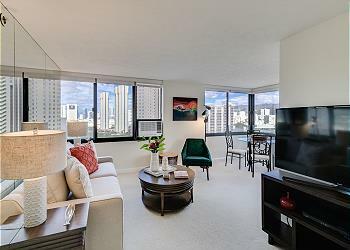 Convenience stores can be found throughout the neighborhood, while the community tennis courts and the Waikiki Aquarium and Zoo are just around the corner for your entertainment. 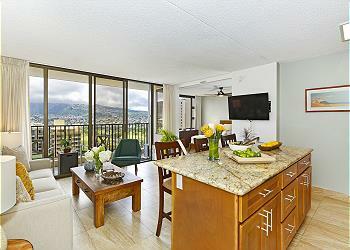 Go jogging and biking around Diamond Head, or explore the Kahala neighborhood during your stay. 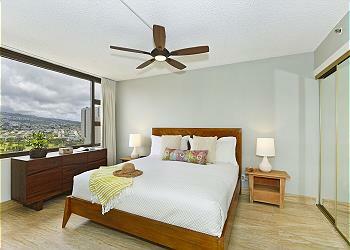 Colony Surf #1505 has overhead fans that replicate trade wind breezes and give you that “Old Hawaii” vibe. 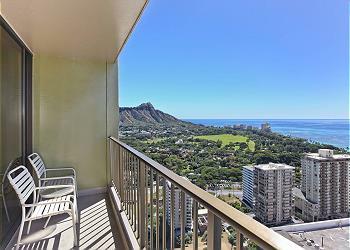 You’ll enjoy spectacular views of Diamond Head and the Pacific Ocean, not to mention a quiet swimming beach, full kitchen, washer/dryer, and king size bed. 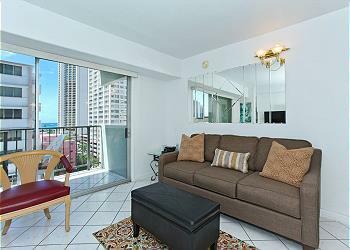 Meanwhile, the newly remodeled Colony Surf #909 has all the amenities of #1505, plus a flat screen TV, Wi-Fi Internet, and free parking. 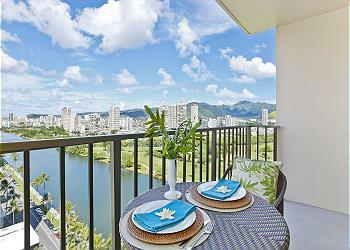 Shopping malls, restaurants, and all forms of entertainment are within walking distance from Discovery Bay’s Endeavor Tower. 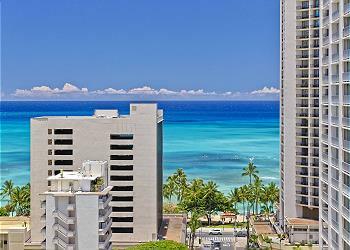 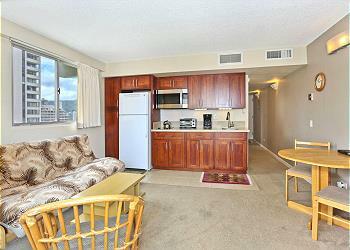 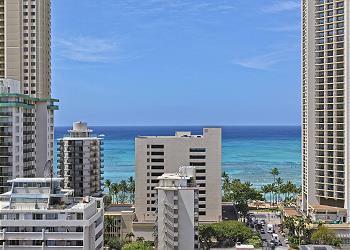 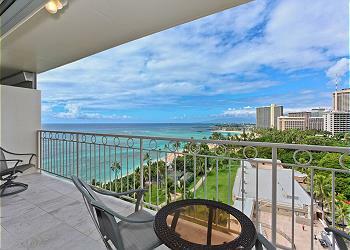 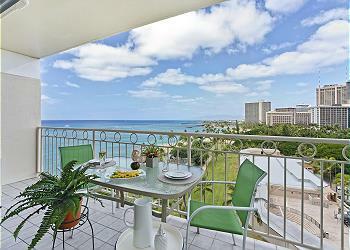 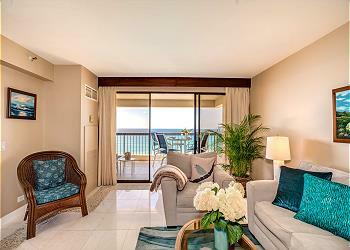 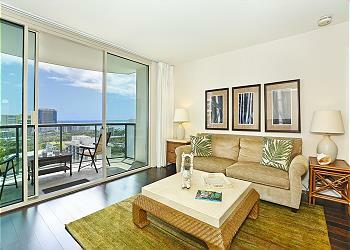 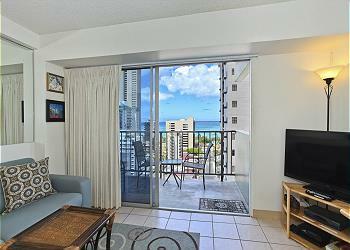 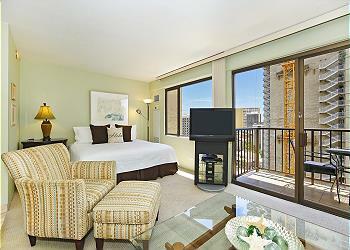 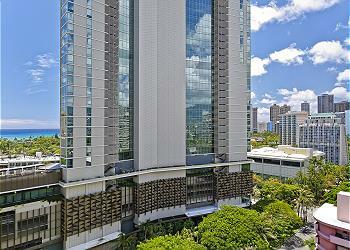 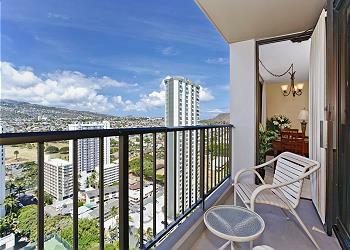 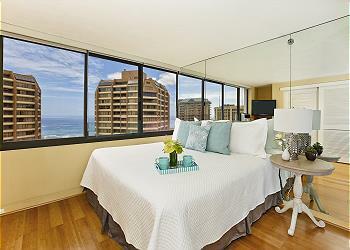 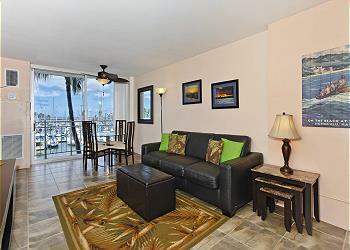 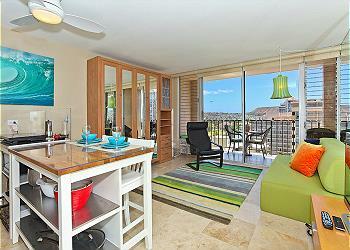 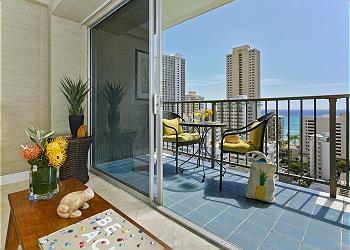 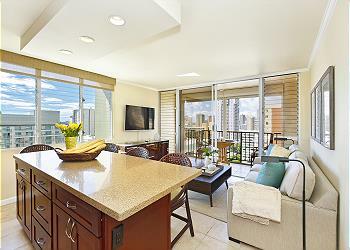 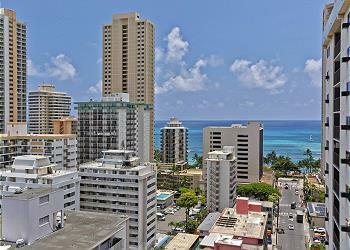 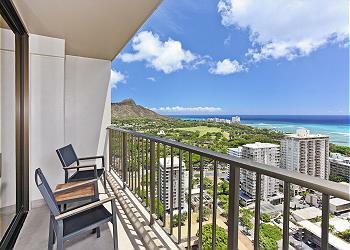 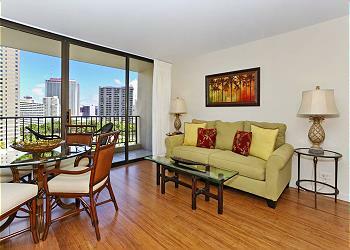 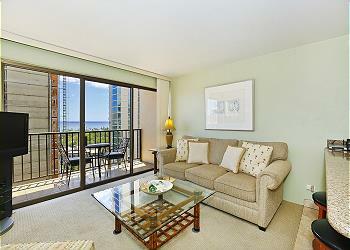 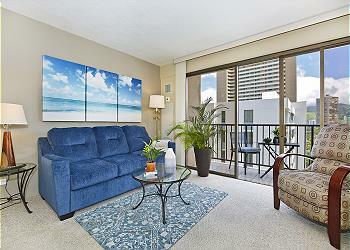 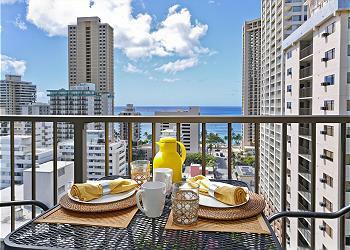 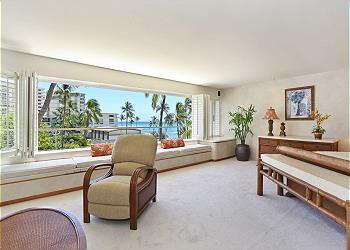 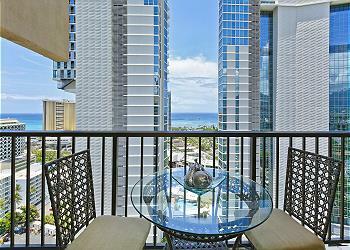 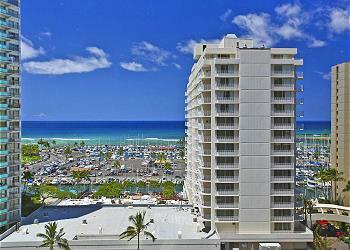 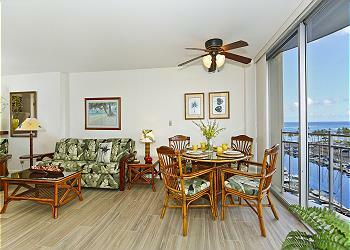 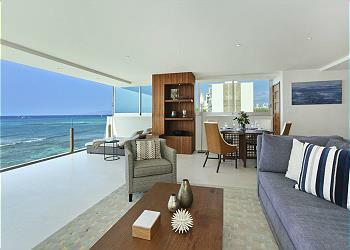 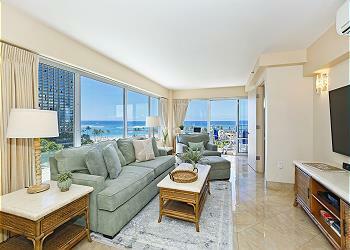 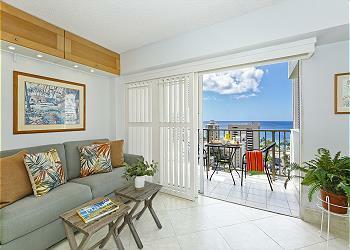 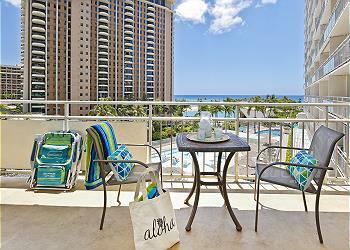 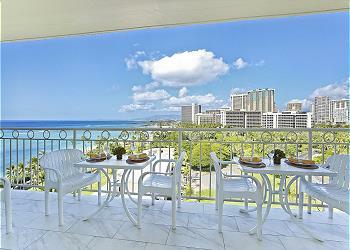 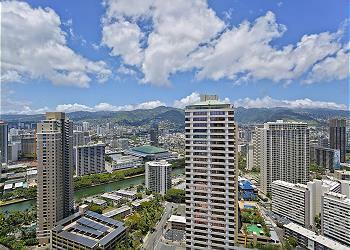 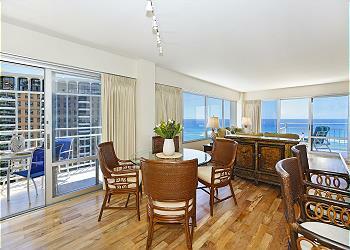 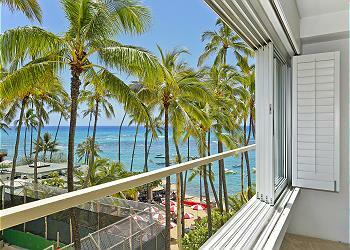 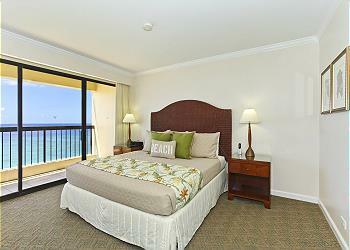 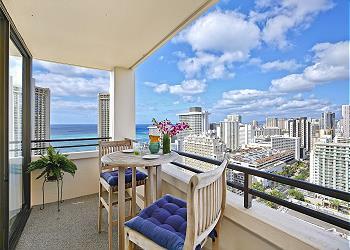 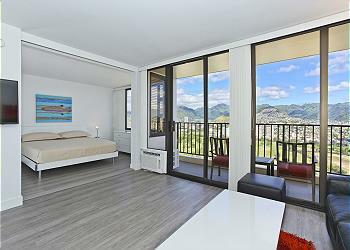 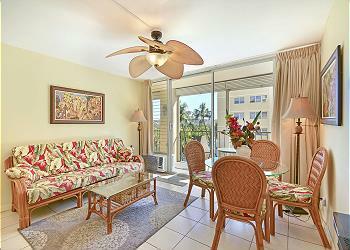 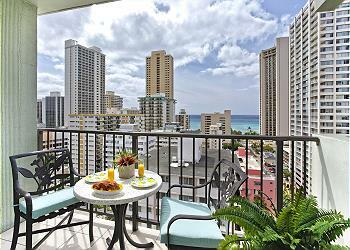 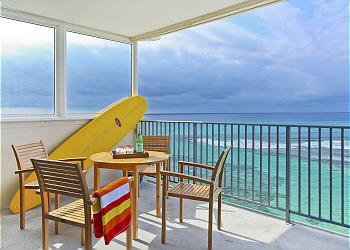 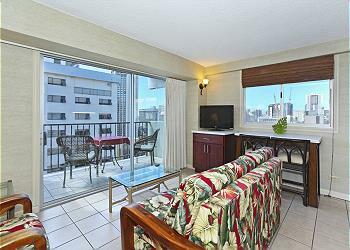 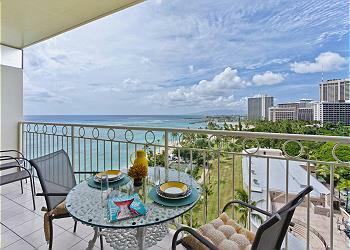 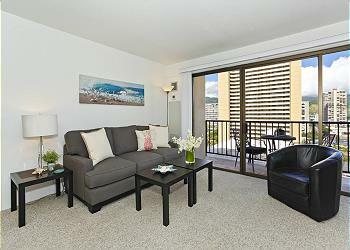 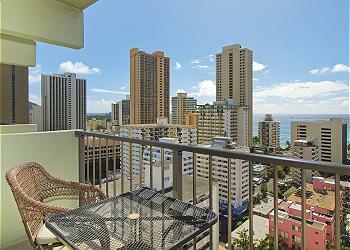 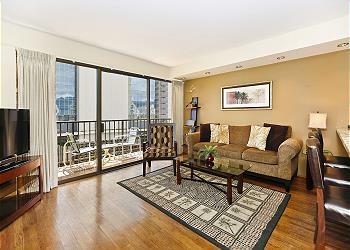 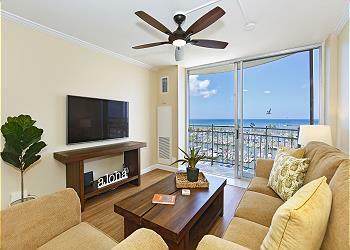 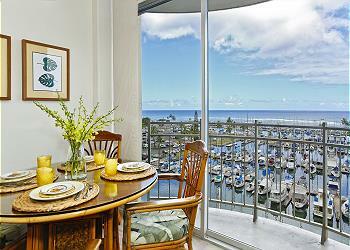 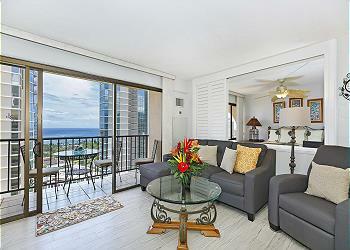 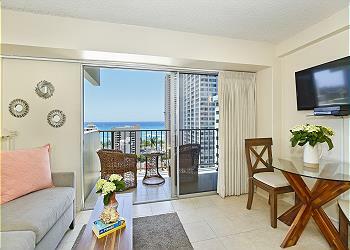 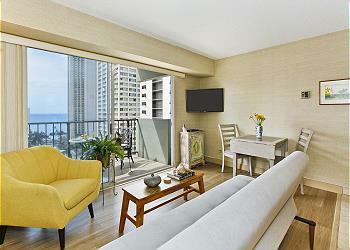 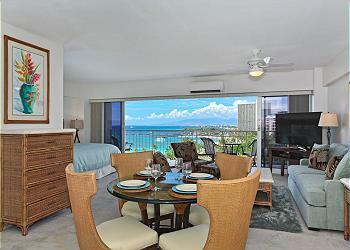 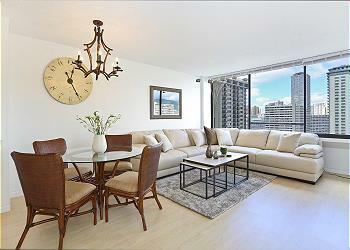 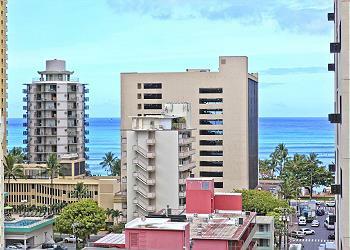 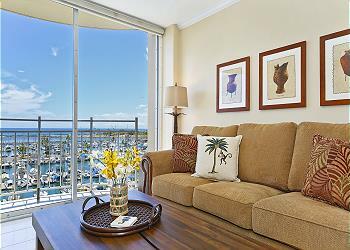 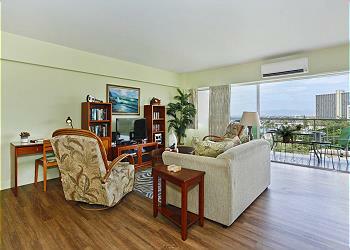 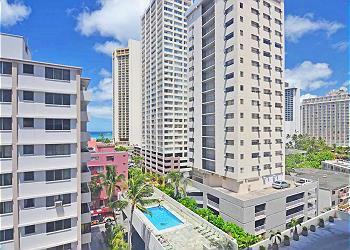 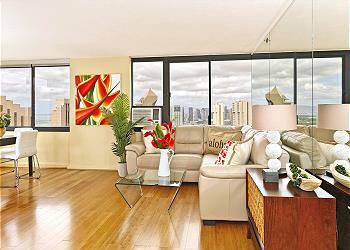 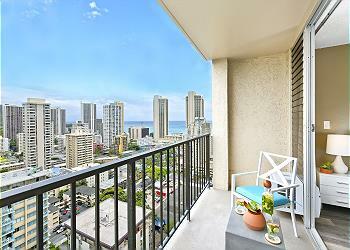 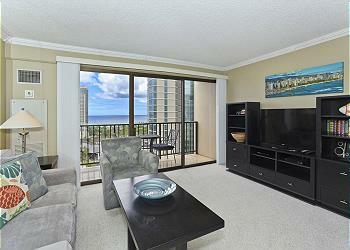 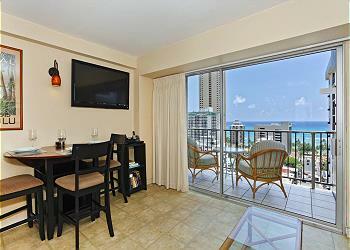 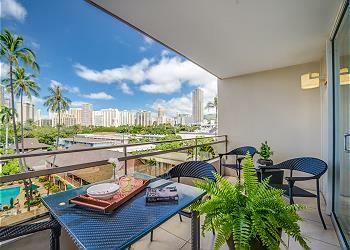 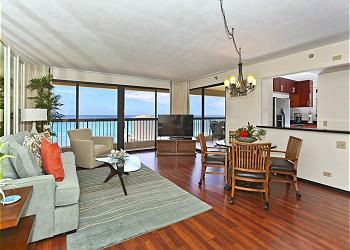 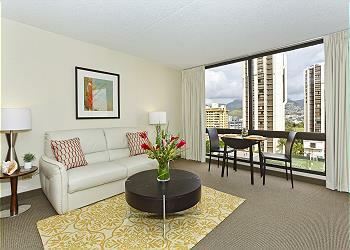 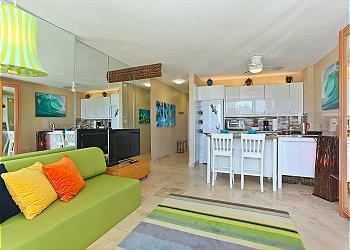 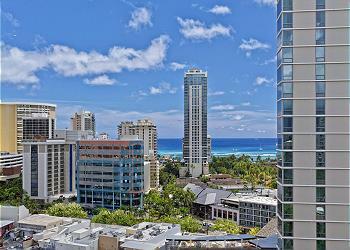 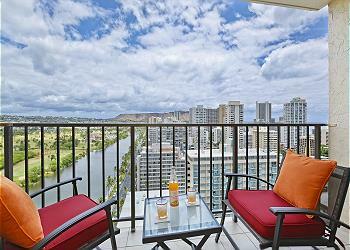 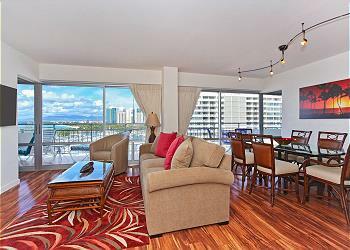 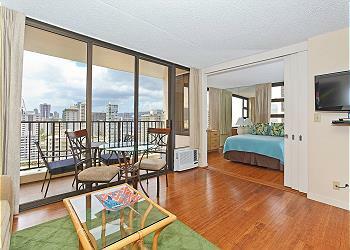 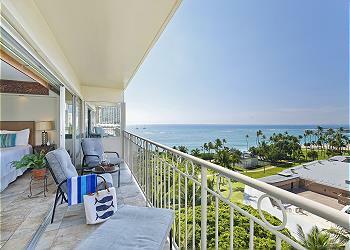 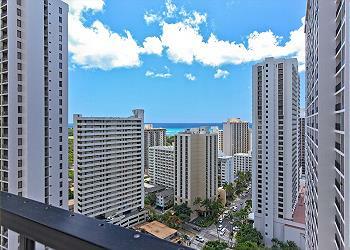 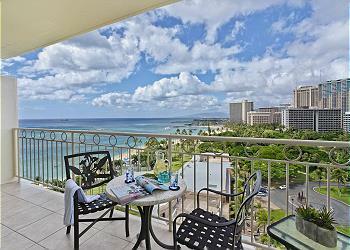 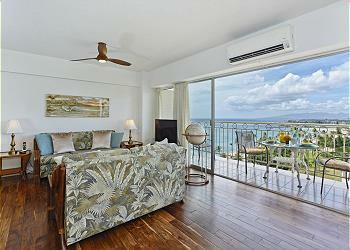 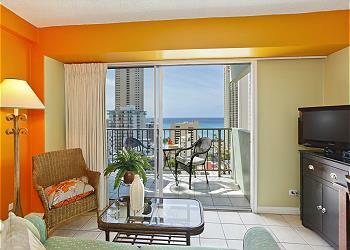 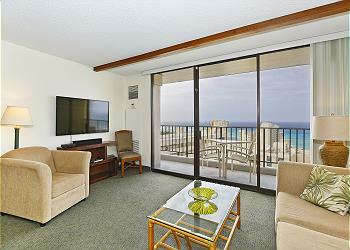 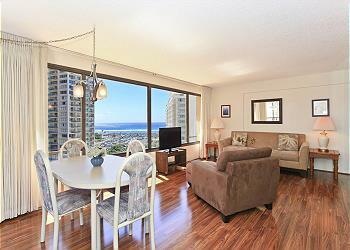 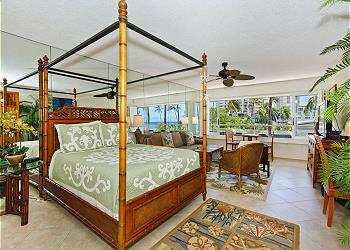 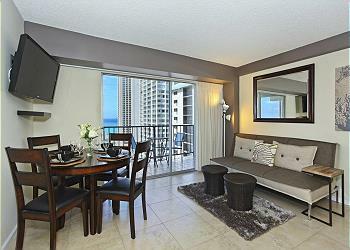 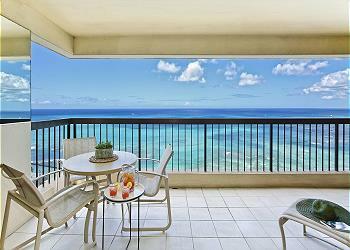 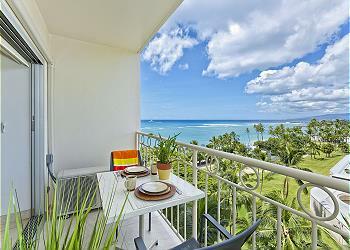 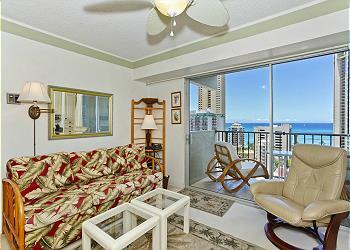 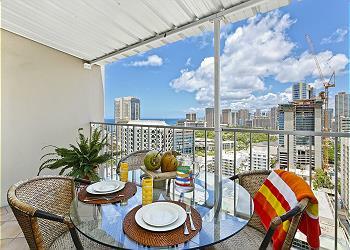 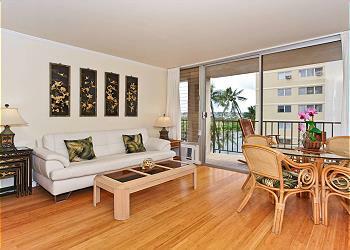 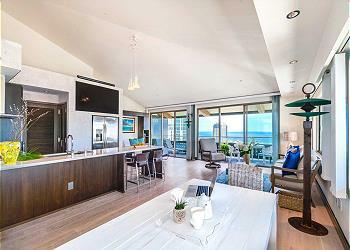 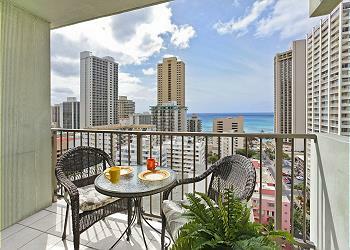 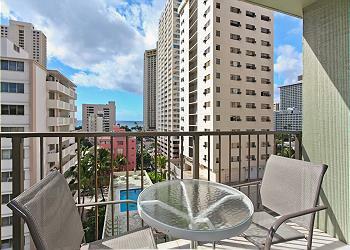 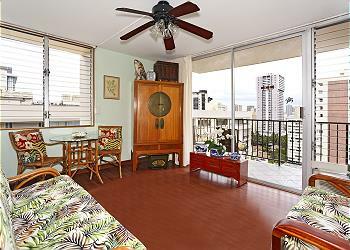 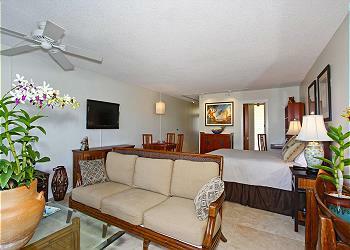 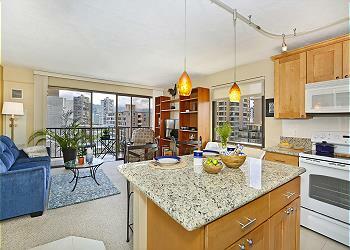 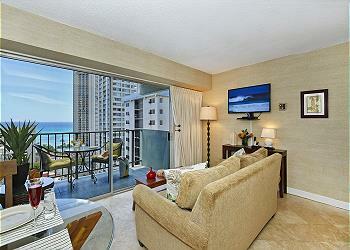 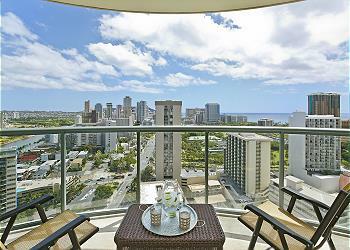 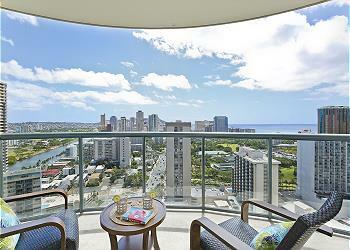 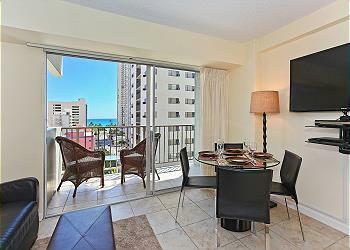 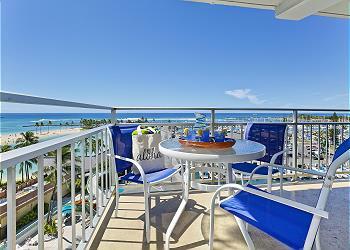 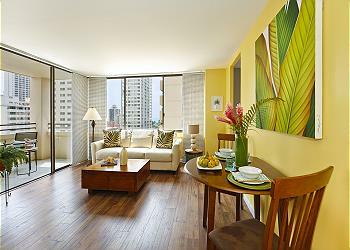 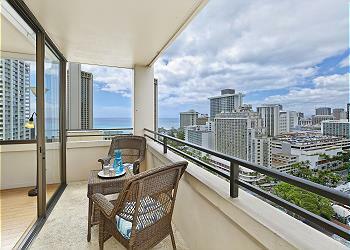 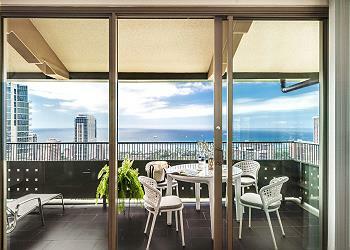 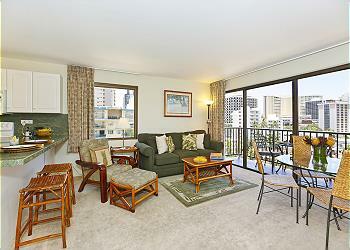 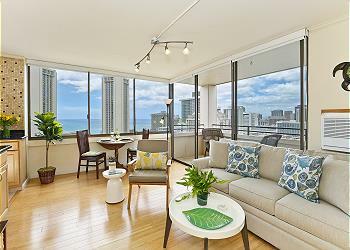 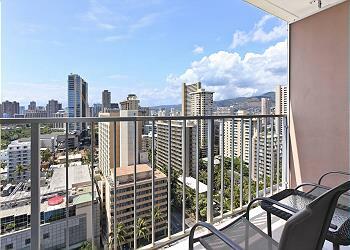 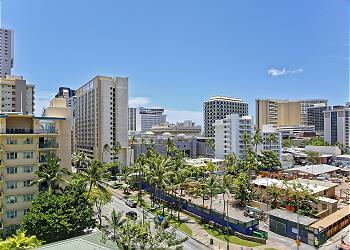 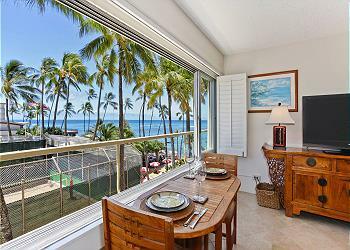 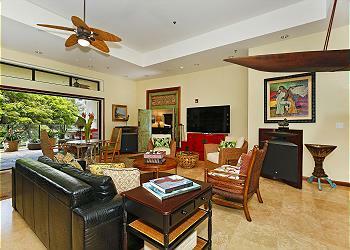 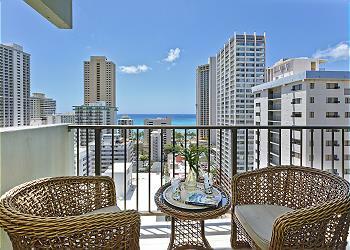 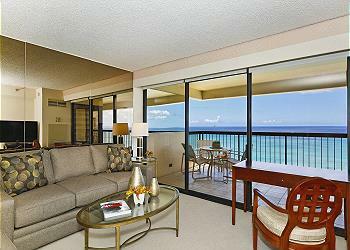 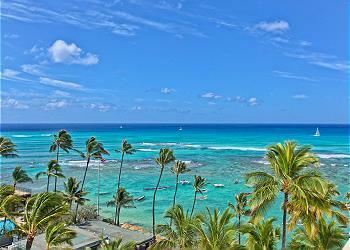 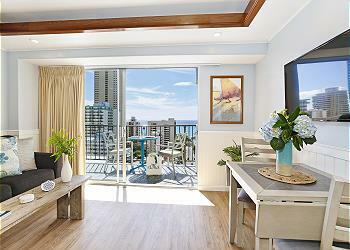 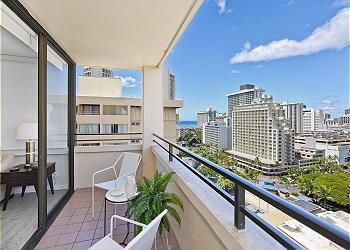 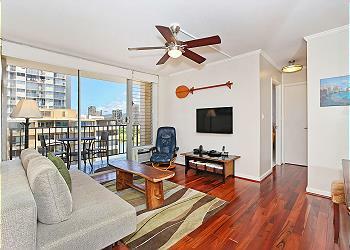 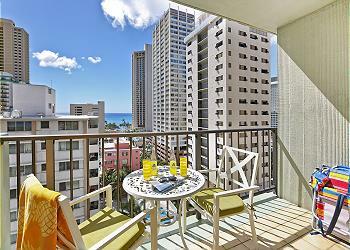 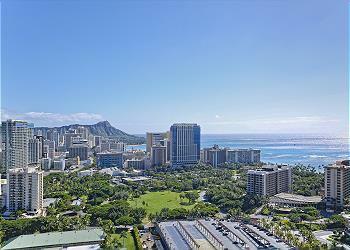 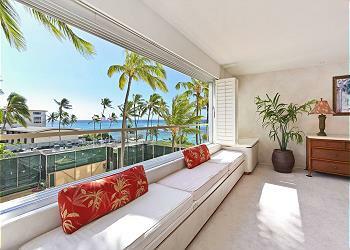 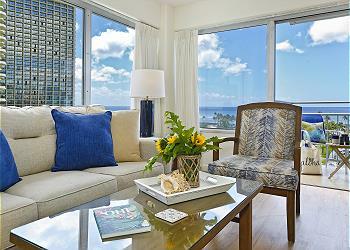 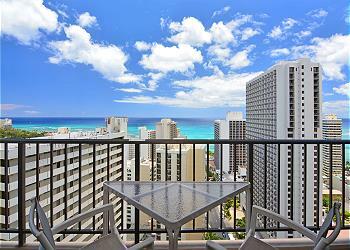 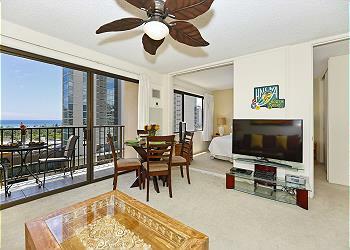 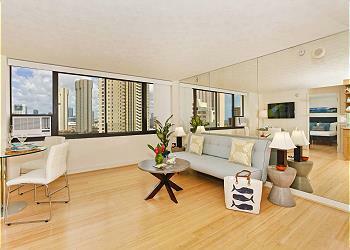 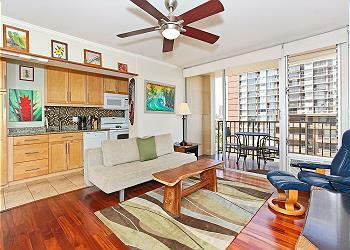 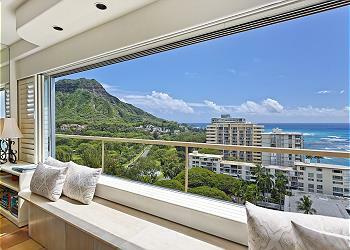 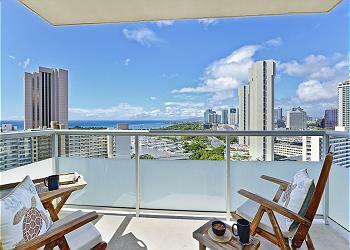 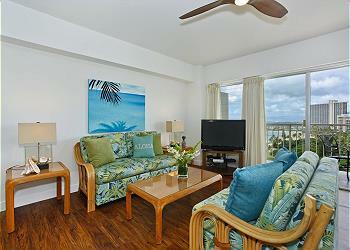 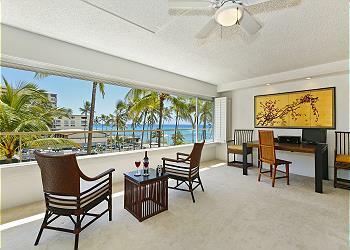 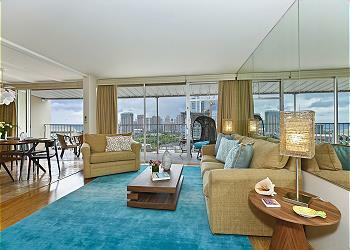 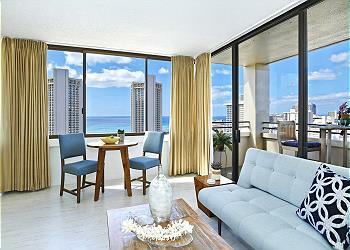 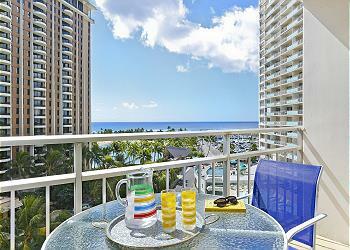 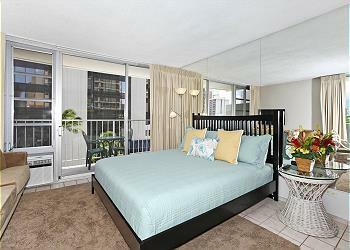 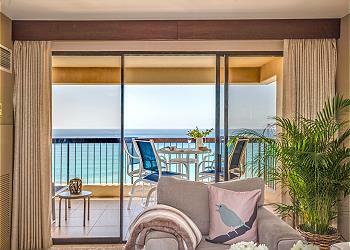 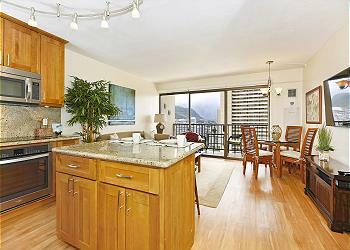 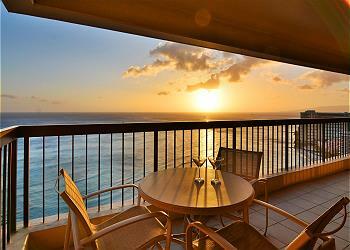 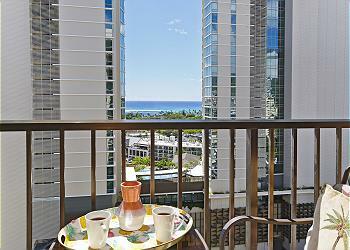 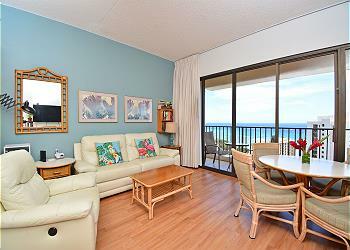 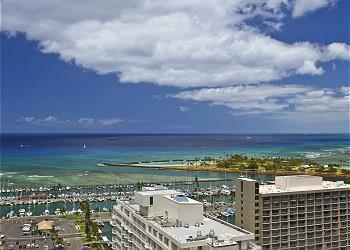 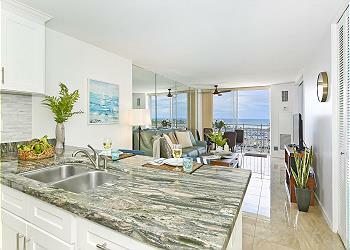 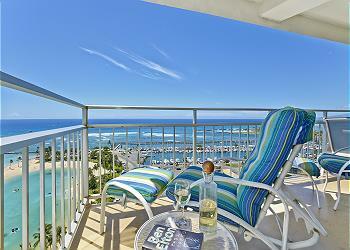 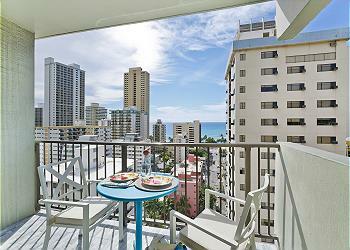 It has two 1-bedroom condos for rent in Waikiki: Unit #1509 and Unit #2903. 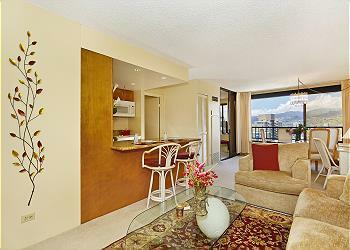 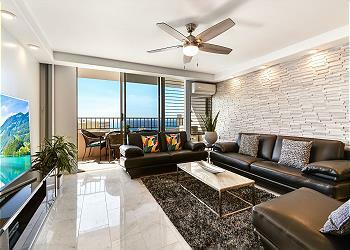 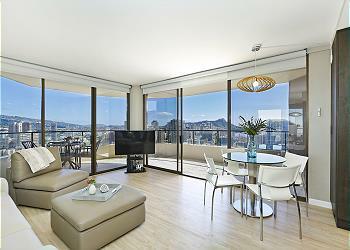 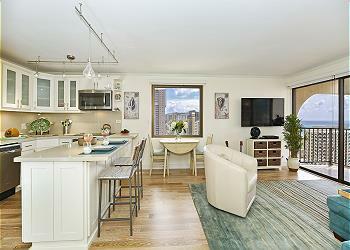 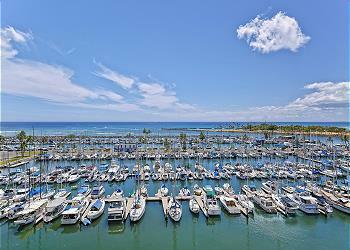 Unit #1509 offers a full view of the pool, sundeck, city, mountains, marina and oceans. 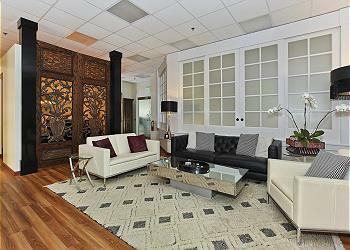 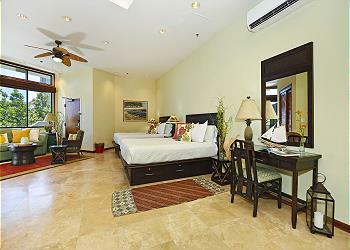 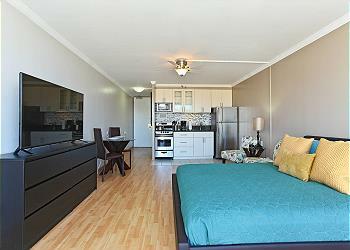 It’s equipped with a full kitchen, central AC, washer/dryer, Wi-Fi, parking and a king size bed. 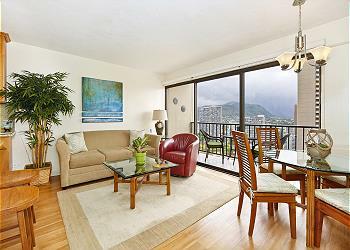 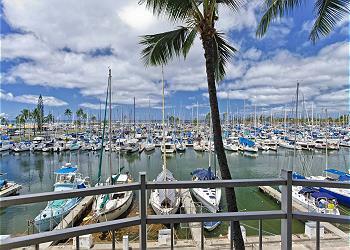 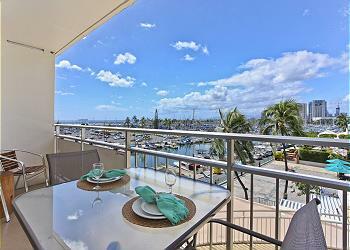 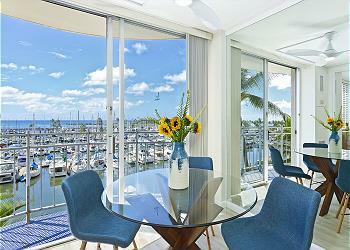 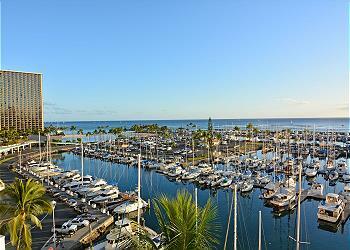 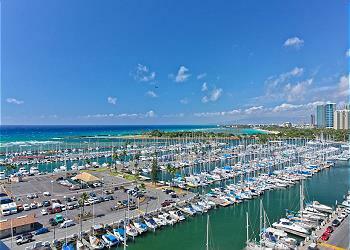 Likewise, Unit #2903 has fantastic views of the Ala Wai Yacht Harbor, city and mountains. 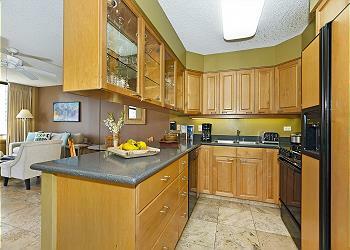 It also has a full kitchen, central AC, washer/dryer in suite, Wi-Fi, parking and a sauna. 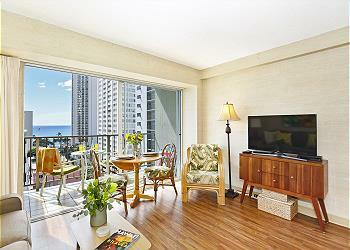 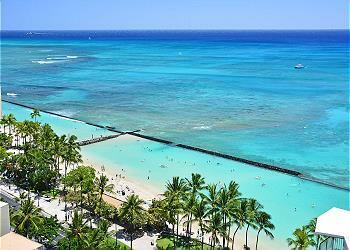 Want to be at the center of all the action in Waikiki Beach—literally? 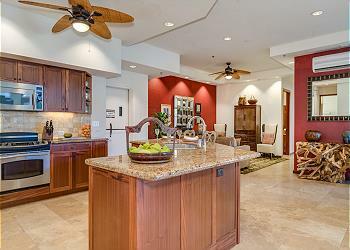 Visit Fairway Villa! 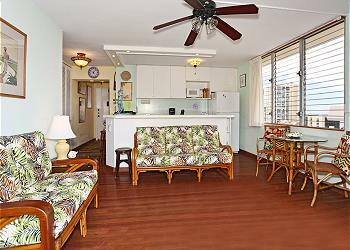 Unit #1114 is designed to give you that authentic tropical feel, with its wooden furniture, overhead fan, and blinded windows. 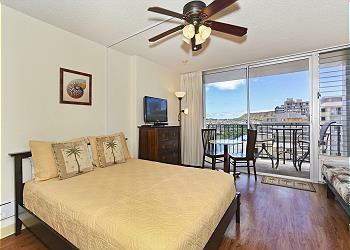 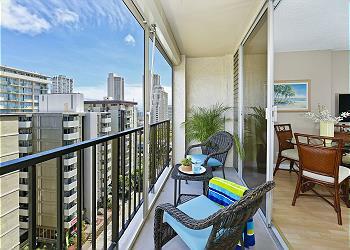 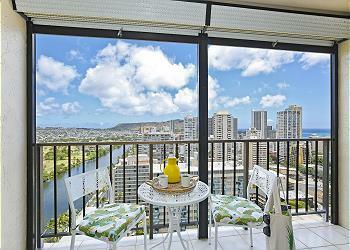 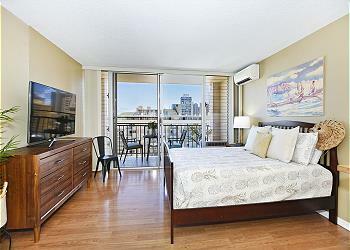 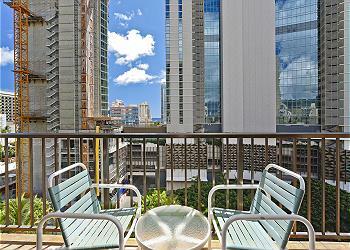 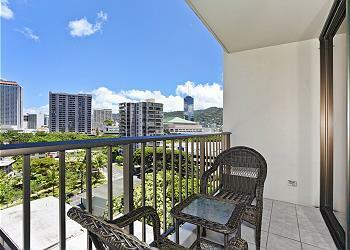 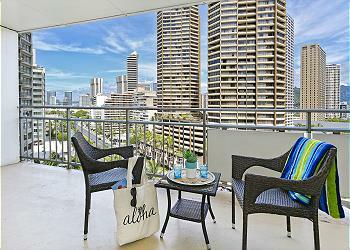 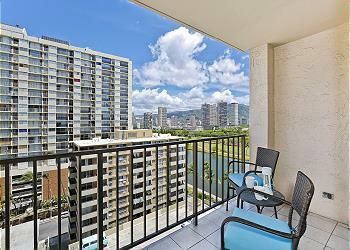 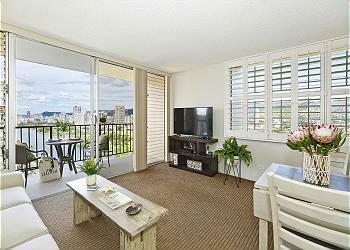 You can view the Ala Wai Canal from here and relax with your AC, Wi-Fi, washer/dryer, and parking. 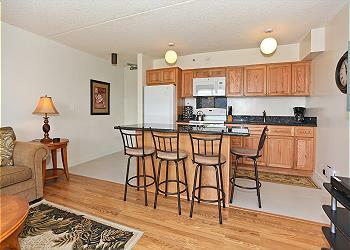 If you’re bringing your children, spouse or special someone with you, then Unit #2002 is the place to stay. 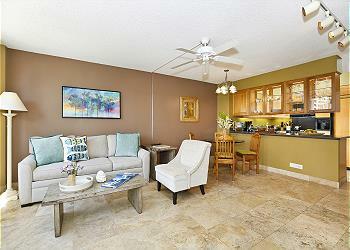 Retreat into this deluxe 1-bedroom condo, complete with a full kitchen, washer/dryer, AC, large lanai, Wi-Fi and parking. 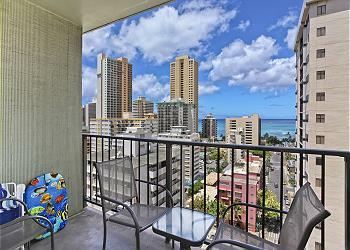 Of all the condos for rent in Waikiki, Four Paddle has the most 1-bedroom units (14) for small groups and solo travelers alike and is one of the finest accommodations in the area. 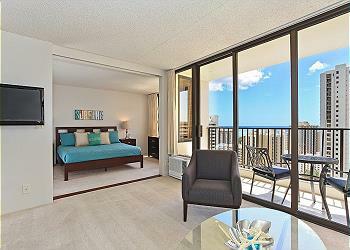 All the 1-bedroom units let you view clear-blue skies, tall mountains, and rolling oceans. 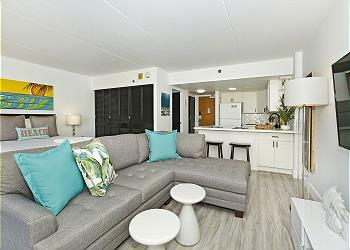 They’re also equipped with central ACs, full kitchens, washers/dryers, Wi-Fi, assigned parking, recreation decks, swimming pools, sauna and barbeques. 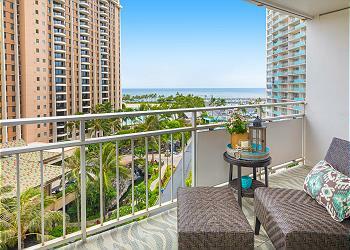 Only a few minutes away from attractions like the Waikiki Yacht Harbor, the Ala Moana Beach Park, and the Ala Moana Shopping Center, all Ilikai Marina units give you panoramic views of the yachts, oceans, and sunset. 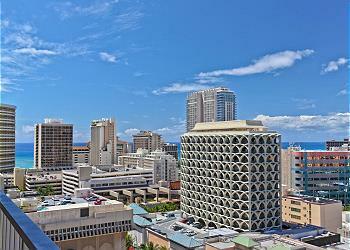 Do you like barhopping and the night life in general? 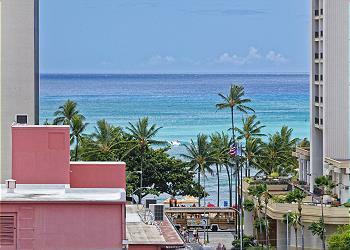 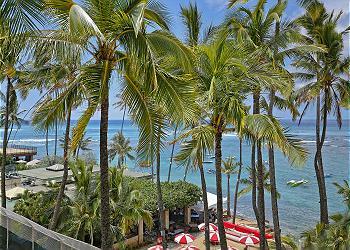 Marine Surf, located in the middle of restaurants and bars in Waikiki, is the place to go. 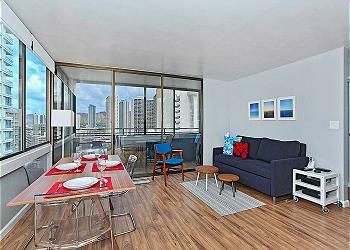 For a budget-friendly, family-sized 1-bedroom unit, rent Marine Surf #PH4. 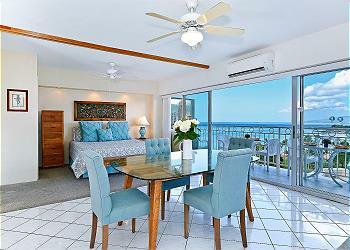 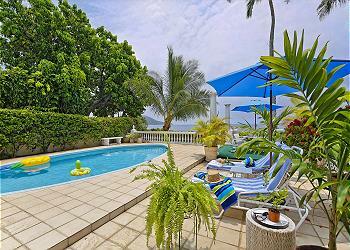 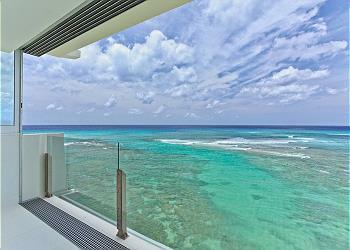 It has two bathrooms, ocean and city views, free Wi-Fi, and calls to mainland US and Canada. 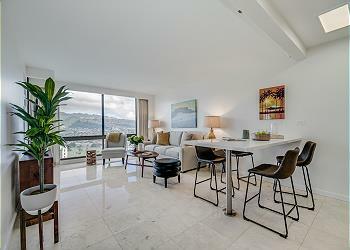 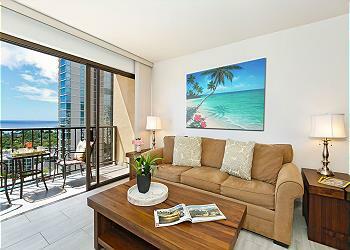 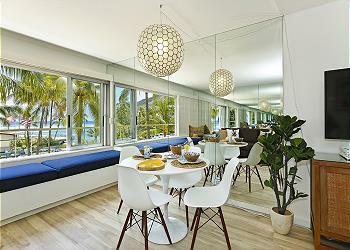 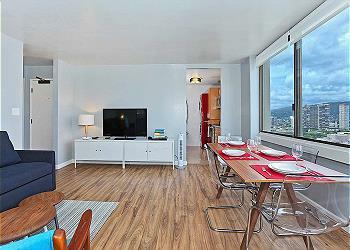 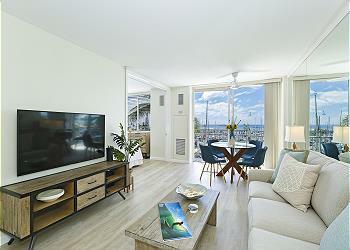 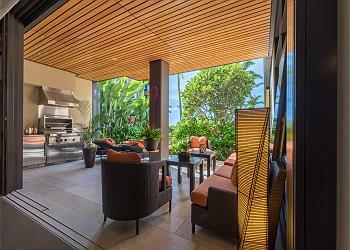 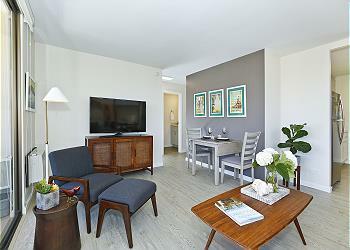 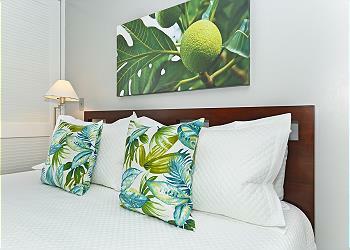 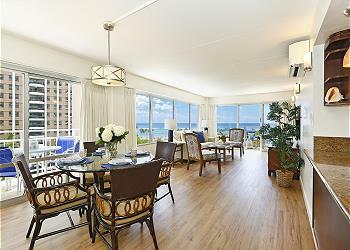 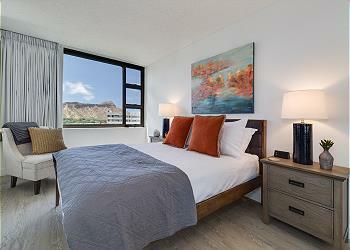 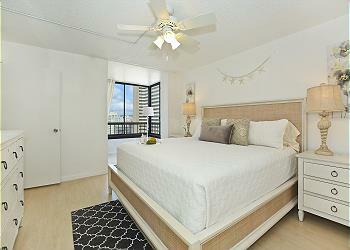 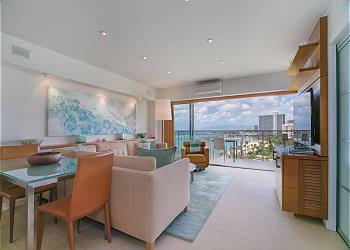 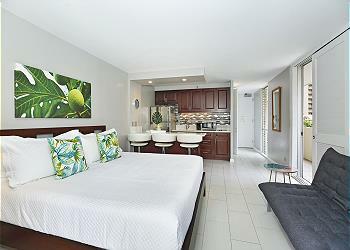 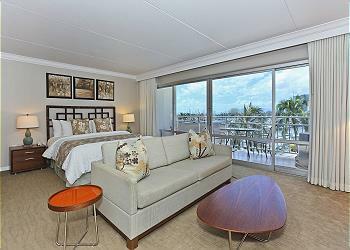 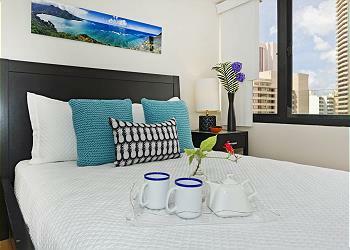 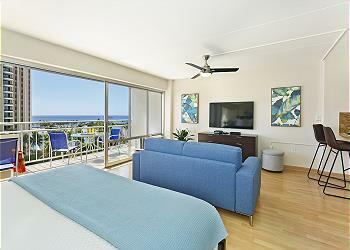 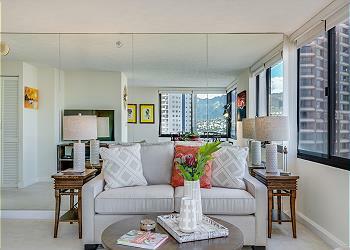 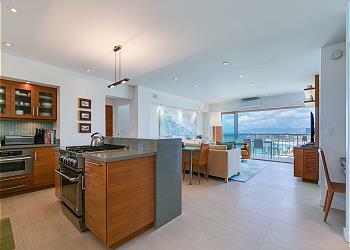 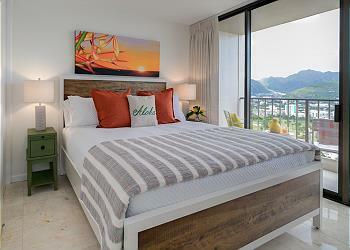 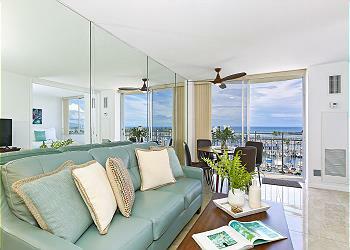 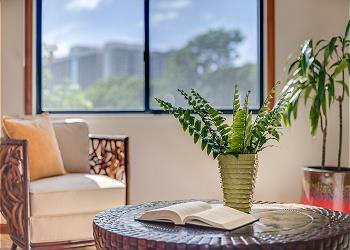 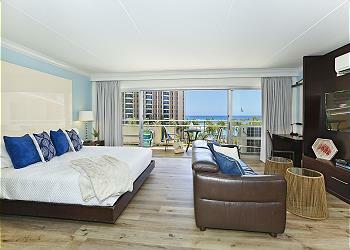 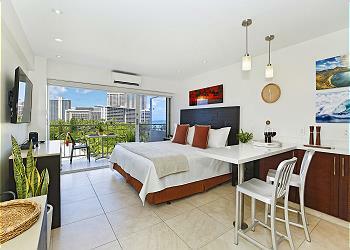 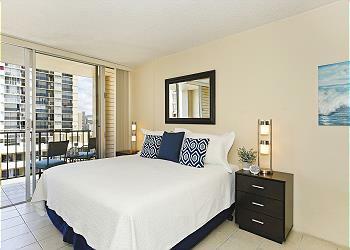 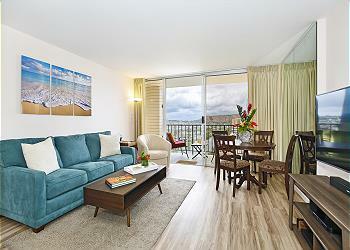 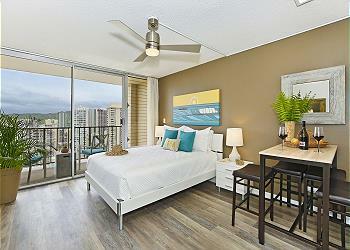 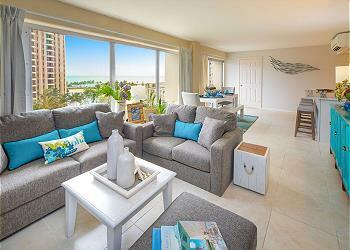 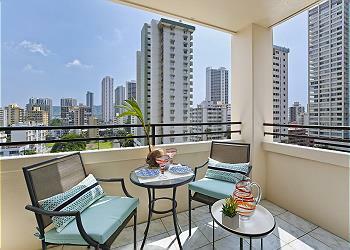 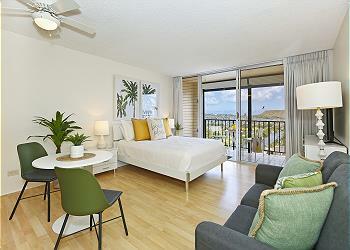 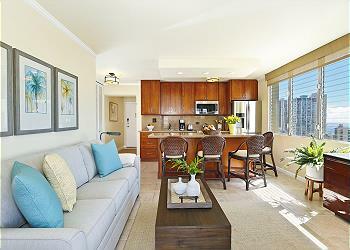 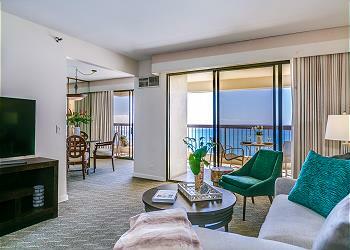 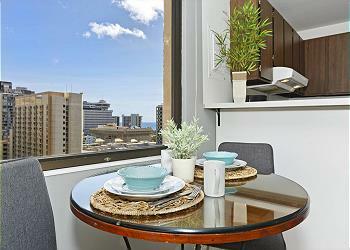 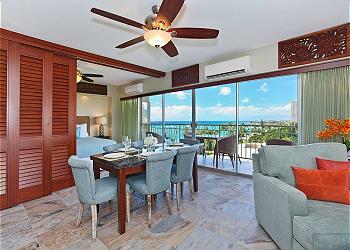 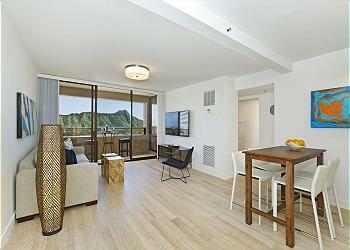 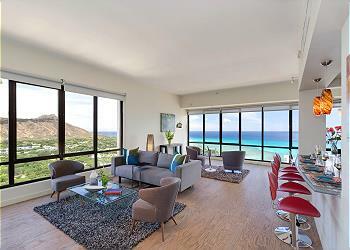 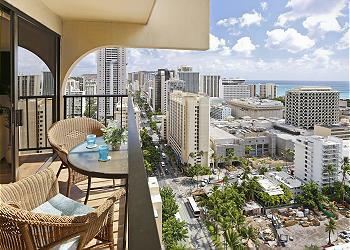 Waikiki Banyan has seven 1-bedroom units to choose from. 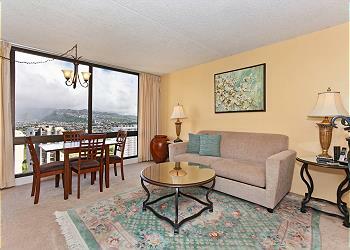 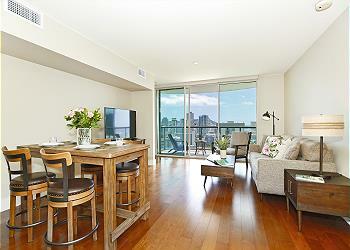 Be literally on top of the world at unit #3810 T-2, or admire the mountain and city lights views from #2609 T-2. 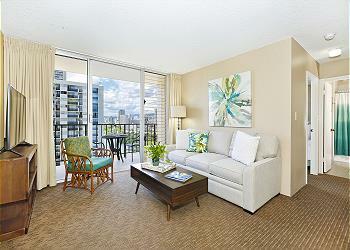 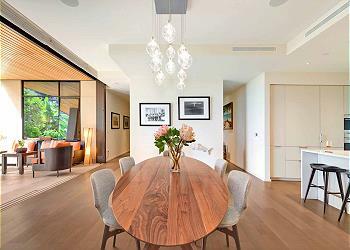 Breathe in the fresh air from the gardens and tree-tops near #806T2, or play with the children at #2002 T-1. 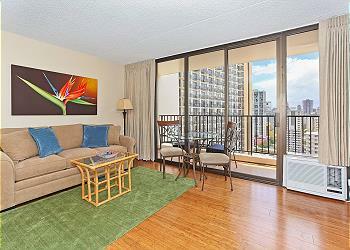 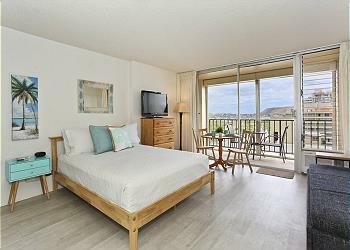 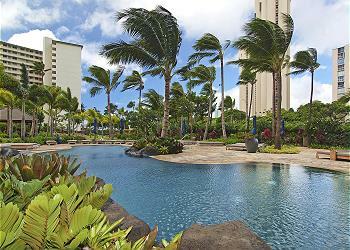 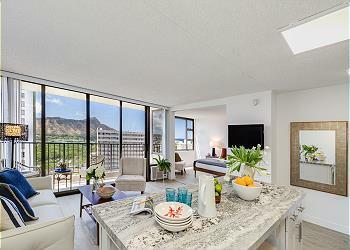 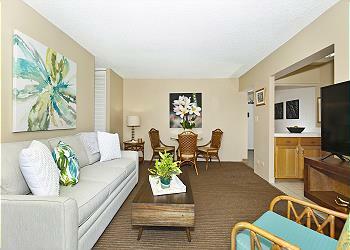 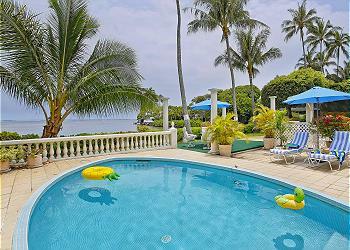 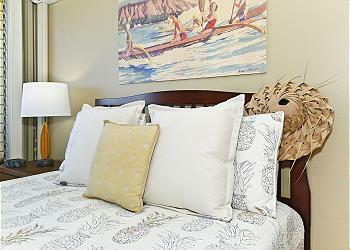 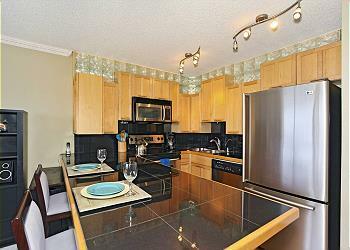 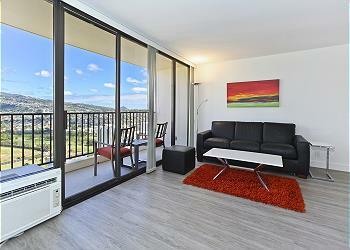 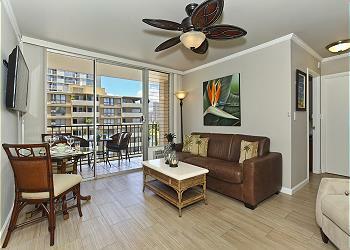 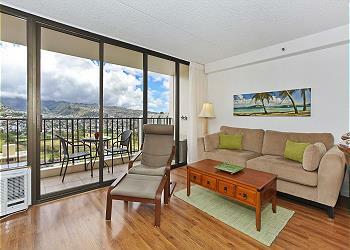 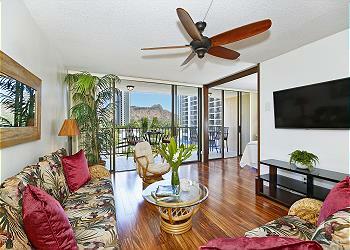 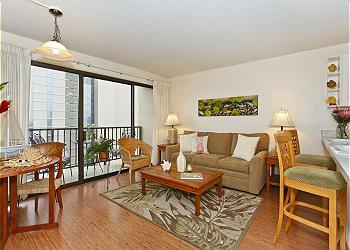 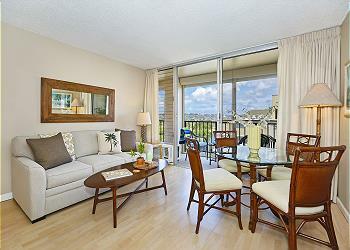 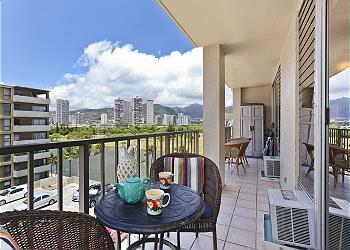 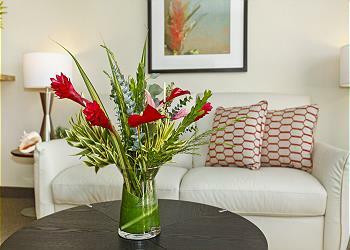 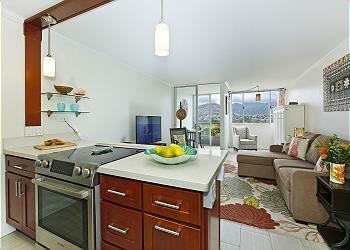 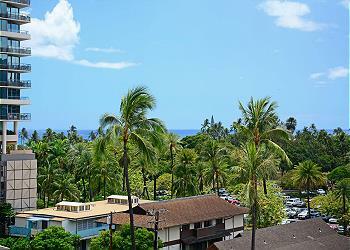 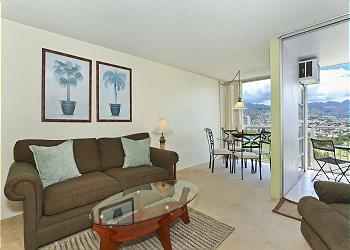 Singles, couples, and small families will find it a joy to stay in Waikiki Park Heights. 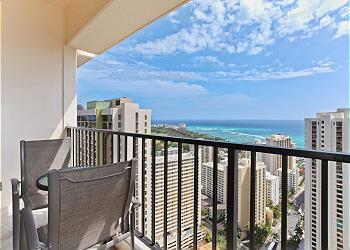 The condo is only 5 minutes away from Waikiki’s best surfing and swimming beach, and every unit offers breathtaking ocean views. 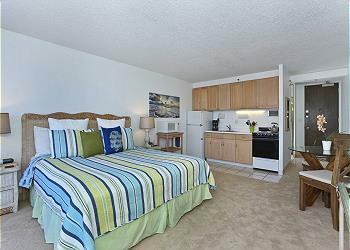 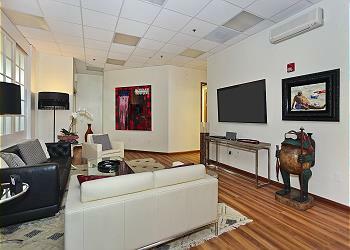 Most units have kitchenettes, Wi-Fi, free local calls, $15/day parking and central AC. 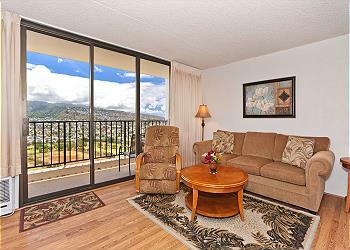 The building has 24-hour security and keyed elevator entry for your protection. 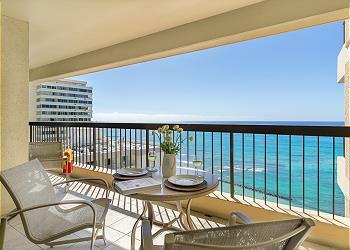 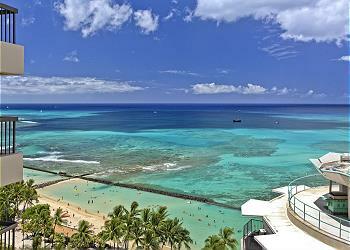 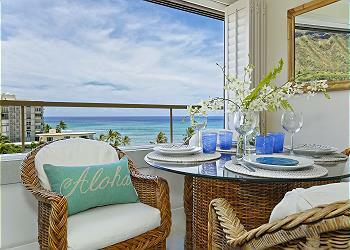 If you’re looking for a great beachfront condo at an equally great price, Waikiki Shore is the place to visit. 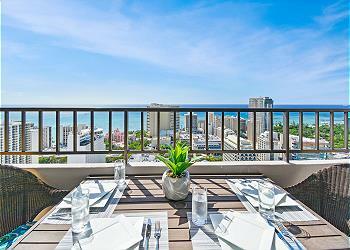 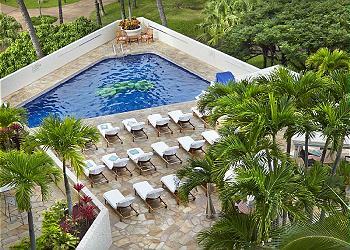 The building is close to the Waikiki Beach, casual and fine dining restaurants, specialty shops, night life, and Hawaiian cultural activities. 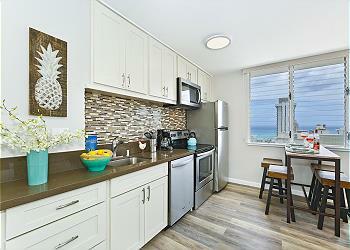 Most units have full kitchens, washer/dryer, AC, and Wi-Fi. 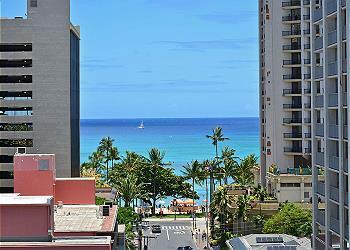 Waikiki Skytower is right in the middle of Waikiki’s shopping district. 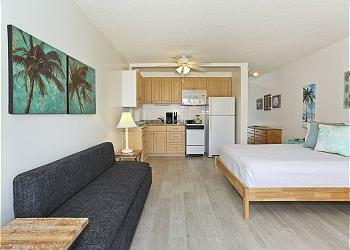 Each unit is equipped with great mountain views, full kitchen, dishwasher, washer/dryer, Wi-Fi, parking, AC, pool, sauna and BBQ area. 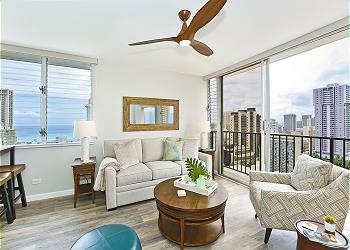 All of Waikiki Sunset’s 1-bedroom units have private lanais, full kitchens, AC, Wi-Fi, heated pools, saunas, tennis, and BBQ area. 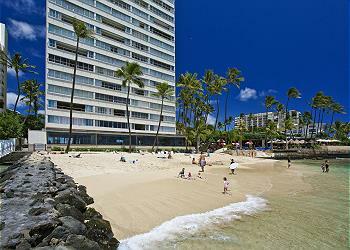 The building is situated along the wonderful Waikiki Beach. 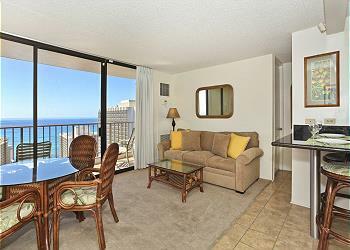 For more information on 1-bedroom condos for rent in Waikiki, contact Captain Cook Resorts at local 808-738-5507 or toll-free 800-854-8843 (US/Canada).